We celebrated the boys’ birthday last month with a fun Super Mario Birthday Party. I threw together a few easy last minute details that really made the event fun and special. Usually I start planning in August for their October birthday but this year it was seriously just a few days before that I began to whip up party ideas. 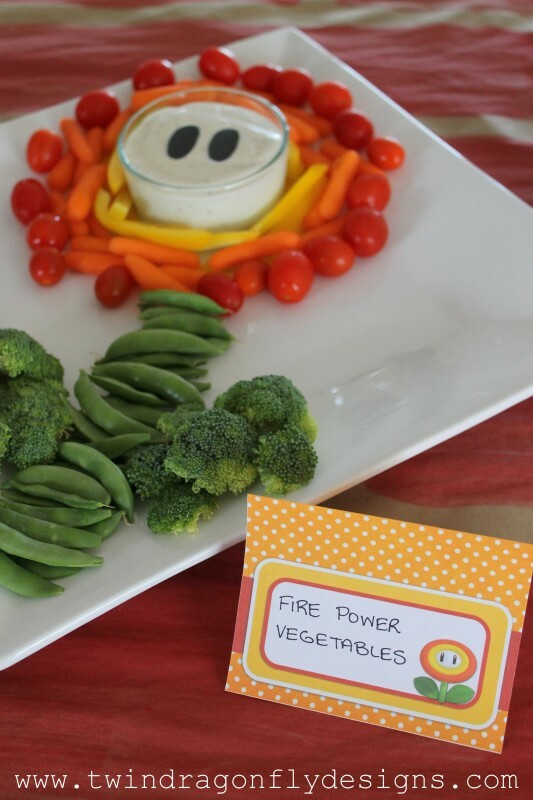 I was so grateful to find this Fire Power Flower Vegetable tray idea on Pinterest! 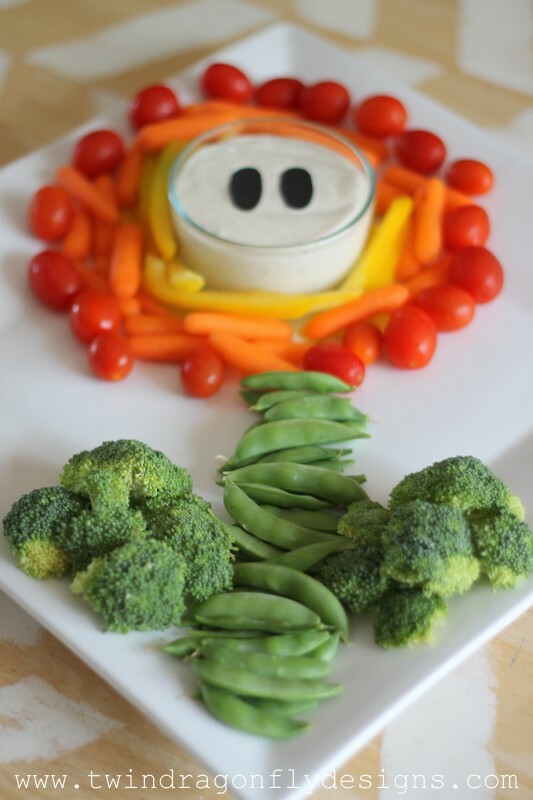 Healthy, easy and totally fun! I mean… how adorable is this little guy?! It was almost hard to eat him!! The vegetable tray joined a variety of other snack foods on our kitchen island turned brick wall serving station. I had also printed off some great, free labels for all of the foods as well. 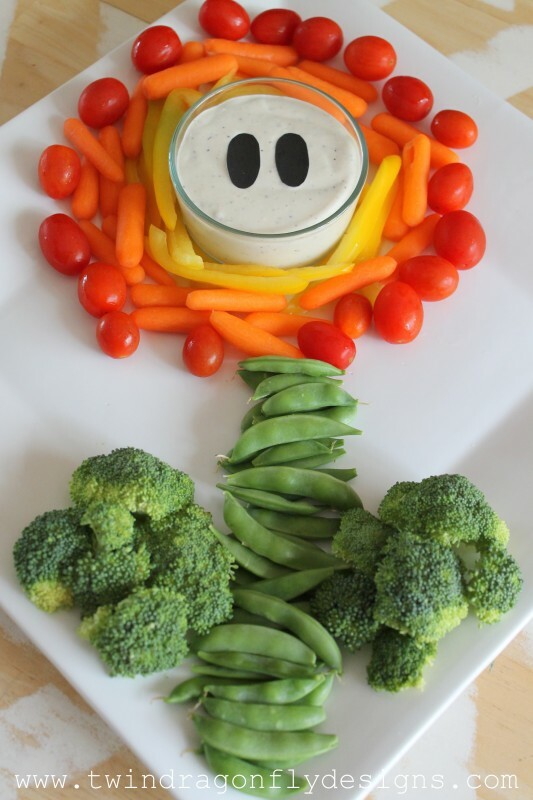 The idea is to create a “fire power flower” with an orange/red head and green stem/leaves. 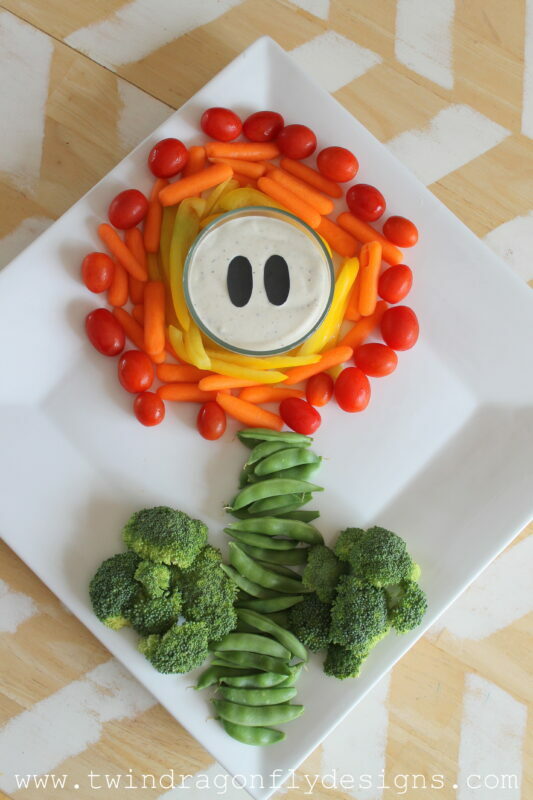 You could use whatever kind of vegetables that you have on hand. We used yellow pepper, carrots, tomatoes, peas and broccoli. 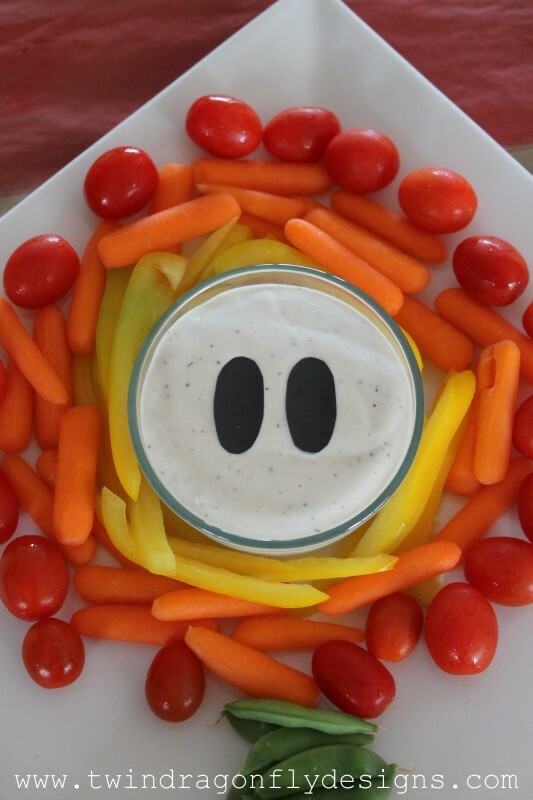 In the center we had ranch dip and you could add black olive eyes. Since no one in our family eats olives I decided to use a few bits of black construction paper to give our guy features and simply took them away when we began eating.